The Northwest Commission, which serves a five-county region on Pennsylvania, launched an online survey on Jan. 28 to gauge public input and opinion as part of its regional long-range transportation plan or LRTP, due to be completed by the end of 2019. The Commission said that the LRTP serves as a 20-year “blueprint” for state and federal transportation investments in its five-county area of responsibility. Annually, those investments total approximately $56.6 million in state and federal funds, it noted. “The survey provides an excellent opportunity for the public to provide input into the process in a user-friendly and convenient way,” noted Travis Siegel, regional planning manager at the Northwest Commission, in a statement. The online survey – available at http://NW-LRTP.metroquest.com – is interactive and participants are able to offer feedback on regional transportation priorities and suggested project needs through use of an interactive map. 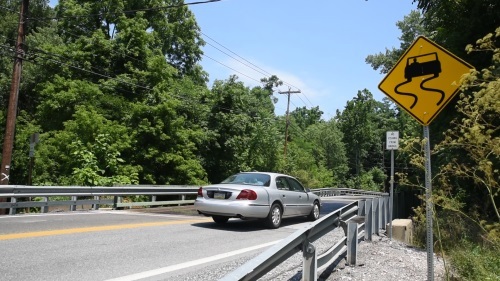 The LRTP that develops in part from data gleaned from this survey will include an “investment plan” that includes potential projects to be considered by the Commission and the Pennsylvania Department of Transportation as additional funding becomes available. The Commission added that it is leading the update of the transportation plan, in cooperation with PennDOT and technical consulting assistance from Michael Baker International, Inc. It is being guided by a project advisory committee consisting of representatives from the region’s five counties, the Oil Region Alliance, and the Crawford Area Transit Authority.